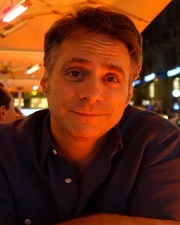 Christopher E. Forth is the Dean's Professor of Humanities and Professor of History at the University of Kansas. His interdisciplinary and thematic research revolves around the cultural history of gender, sexuality, the body, and the senses (with an emphasis on modern France, Britain and America) as well as European intellectual and cultural history. He is especially concerned with how perceptions and experiences of the body are situated in different social and cultural locations, and has become increasingly interested in exploring embodiment, materiality, animality, and the senses in historical context. The author or editor of twelve books, including Zarathustra in Paris: The Nietzsche Vogue in France, 1891-1918 (2001), The Dreyfus Affair and the Crisis of French Manhood (2004) and Masculinity in the Modern West (2008), Forth is the co-editor of Fat: Culture and Materiality (2014) and editor-in-chief of the journal Cultural History. His new book is entitled On Fat: A Cultural History of the Stuff of Life (London: Reaktion Books, 2019). Forth, C. E., Leitch, A., & . (Eds.). (2014). Fat: Culture and Materiality. UK: Bloomsbury. Forth, C. E., Strange, C., & Cribb, R. (Eds.). (2014). Honour, Violence and Emotion: Historical Perspectives. UK: Continuum . Forth, C. E. (2013). The Qualities of Fat: Bodies, History, and Materiality. Journal of Material Culture, 18(2), 135-54. Forth, C. E. (2012). Melting Moments: The Greasy Sources of Modern Perceptions of Fat. Cultural History, 1(1), 83-107. Forth, C. E. (2012). Fat, Desire, and Disgust in the Colonial Imagination. History Workshop Journal, 73(1), 211-39. Forth, C. E. & Accampo, E. (Eds.). (2010). Confronting Modernity in Fin-de-Siècle France: Bodies, Minds and Gender (C. E. Forth & E. Accampo, Eds.). Basingstoke: Palgrave. Forth, C. E. (2009). Manhood Incorporated: Diet and the Embodiment of 'Civilized' Masculinity. Men and Masculinities, 11(5), 578-601. Forth, C. E. (2008). Masculinity in the Modern West: Gender, Civilization and the Body, Basingstoke: Palgrave. Forth, C. E. & Cryle, P. (Eds.). (2008). Sexuality at the Fin de Siècle: The Makings of a "Central Problem" (C. E. Forth & P. Cryle, Eds.). Newark, DE: University of Delaware Press. Forth, C. E. & Taithe, B. (Eds.). (2007). French Masculinities: History, Culture and Politics (C. E. Forth & B. Taithe, Eds.). Basingstoke: Palgrave. Forth, C. E. & Crozier, I. (Eds.). (2005). Body Parts: Critical Explorations in Corporeality (C. E. Forth & I. Crozier, Eds.). Lanham, MD: Lexington Books. Forth, C. E. & Carden-Coyne, A. (Eds.). (2005). Cultures of the Abdomen: Diet, Digestion and Fat in the Modern World (C. E. Forth & A. Carden-Coyne, Eds.). New York: Palgrave. Forth, C. E. (2004). The Dreyfus Affair and the Crisis of French Manhood, Baltimore: John Hopkins University Press. Forth, C. E. (2001). Zarathustra in Paris: The Nietzsche Vogue in France, 1891-1918, Dekalb: Northern Illinois University Press.